Prescott is home to the downtown historical area known as Whiskey Row, until 1956 a notorious red-light district. In 1900, a great fire destroyed almost all of the buildings on Whiskey Row, including the 1891 Hotel Burke, advertised as “the only absolutely fireproof building in Prescott”. By legend, the patrons of the various bars simply took their drinks across the street to the Courthouse square and watched it burn. At the time of the fire, the entire bar and back-bar of the Palace Hotel was removed to the square by the patrons as the fire approached, re-installing it after the gutted brick structure was rebuilt. (The size of the back-bar is impressive, and appears not easily moved, even by many hands.) Whiskey Row runs north and south on Montezuma St. between Gurley and Goodwin St., directly west of the county courthouse. This single city block has been the home of the St. Michael’s Hotel (formerly the Hotel Burke) and the Palace Hotel since the late 19th century, along with other colorful purveyors of night-life. Merchant Sam Hill’s large hardware store was located near Whiskey Row. 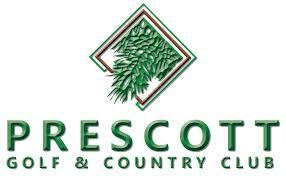 There are four golf courses within the city limits: Antelope Hills Golf Course, which consist of the City of Prescott South Course and the City of Prescott North Course, Hassayampa Golf Club (private), Talking Rock Golf Club (private), and Prescott Lakes Golf Club (private). More public courses are located nearby in surrounding towns. While Prescott is known for its western and cowboy feel, it is also the home of Prescott College, a small liberal arts college located just west of the downtown area that emphasizes environmental and social justice. In recent years Prescott College has fostered The Catalyst Infoshop (an Anarchist Free Space), Karma Farms (a community garden program), a local farmers market, as well as many other establishments. It is a non-profit organizationwhich has an undergraduate body of roughly 800 students, and an average student to faculty ratio of 7:1 in on-campus classrooms. There are four general programs at Prescott College: the On-campus Undergraduate Program (RDP), Limited-Residency Undergraduate Degree Program (ADP), the Limited-Residency Master of Arts Program (MAP), and a Limited-Residency PhD program in Sustainability Education. Those enrolled in the Limited-Residency programs work with various mentors and Prescott College faculty, usually in their home communities. On-campus students live in Prescott and attend classes at the college itself. In recent years, Prescott has become a recovery destination for uncounted thousands. At any given time, some 1,200 people are actively in addiction recovery in Prescott. Prescott is among the nation’s top locations for recovery help and a significant industry has grown up around the effort to help folks make an addiction-free life for themselves. Prescott is home to many recovery and rehab centers, a newly minted detoxification clinic and an amorphous community of dozens of halfway houses and sober living homes. There are more than 150 group homes providing housing for those in recovery programs. Current studies show Prescott as having 7.3 counselors per 10,000 people earning the unofficial title of Arizona’s Recovery City.